Come join us on a guided hike to see scenic gorges, sandstone bluffs, or just a quiet night in the woods, listening to what nature has to offer. We love experiencing the outdoors- and want to share it with you. 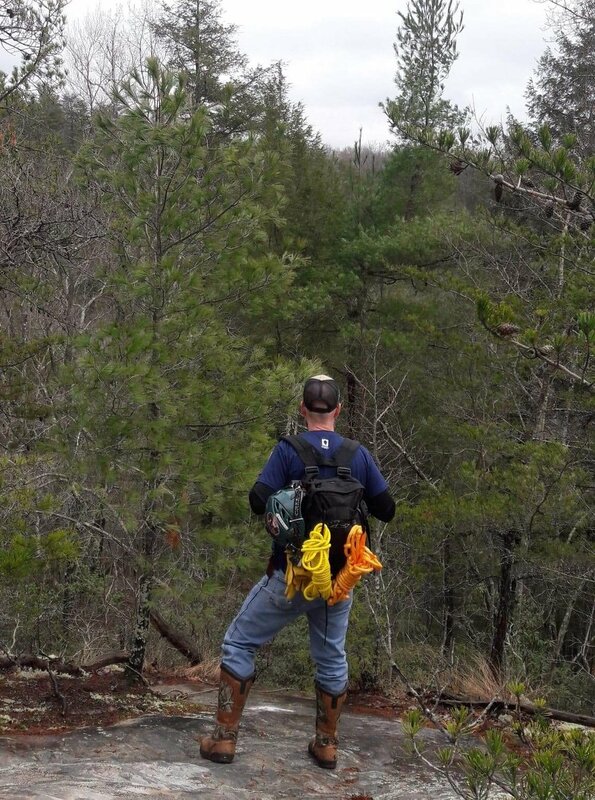 We offer guided hikes and overnight backcounty camping, in and around the beautiful Big South Fork Area. Big South Fork NRRA is nestled in the heart of the Cumberland Plateau in TN. Our headquarters are located in Clarkrange, TN. Call or email us! We welcome all questions, requests, or suggestions. Please realize that at Backwoods Adventures our office is the outdoors. Because we only make it into the office a few times a week, we may not respond to phone calls as fast as most businesses you may deal with. We realize this may appear unprofessional to those who live and work daily in the concrete jungle and appreciate your understanding as we conduct our business in the backwoods beyond the range of our cell phones. So please contact us and we will respond . Because we personalize each trip, our prices range from $50.00 and up. Contact us for a quote. We will work with you to provide you with a package that suits you and your budget. We know each person is unique, and so are our hiking packages. Call us today for specialized trips and discounts. A young boy fell in love with the woods. Since then, Scott Phillips has been sharing his knowledge of the outdoors with others. Scott has over 30 years of experience on the trails, and can only be described as a true mountain man. 'Scott is certified in Adult First Aid/CPR/AED, and has a certificate in the Fundamentals of Wilderness Survival.